1273 people want to go here. 239 people have been here. China, officially known as the People's Republic of China is a vast country in Eastern Asia (about the same size as the United States of America) with the world's largest population. With coasts on the East China Sea, Korea Bay, Yellow Sea, and South China Sea, in total it borders 14 nations. It borders Afghanistan, Pakistan (through the disputed territory of Kashmir), India, Nepal, Bhutan, Myanmar, Laos and Vietnam to the south; Tajikistan, Kazakhstan and Kyrgyzstan to the west; Russia and Mongolia to the north and North Korea to the east. This number of neighboring states is equaled only by China's vast neighbor to the north, Russia. Hong Kong is one of two special administrative regions (SARs) of the People's Republic of China (PRC), the other being Macau. A city-state situated on China's south coast and enclosed by the Pearl River Delta and South China Sea, it is known for its expansive skyline and deep natural harbour. With a land mass of 1,104 km (426 sq mi) and a population of seven million people, Hong Kong is one of the most densely populated areas in the world. The Yangtze River, or Chang Jiang is the longest river in Asia, and the third-longest in the world. It flows for 6,300 kilometres (3,915 mi) from the glaciers on the Tibetan Plateau in Qinghai eastward across southwest, central and eastern China before emptying into the East China Sea at Shanghai. It is also one of the biggest rivers by discharge volume in the world. 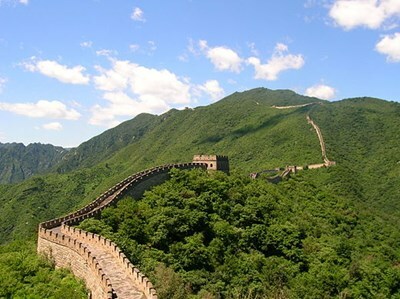 The Yangtze drains one-fifth of China's land area and its river basin is home to one-third of China's population. 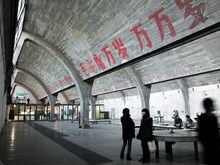 798 Art Zone, or Dashanzi Art District, is a part of Dashanzi in the Chaoyang District of Beijing that houses a thriving artistic community, among 50-year old decommissioned military factory buildings of unique architectural style. It is often compared with New York's Greenwich Village or SoHo. The Khunjerab pass is the highest point of the Karakoram highway and the border between China and Pakistan. Although the actual pass isnt that long it encompasses some of the most impressive mountain scenery in the world." The cable car at Tianmen Shan (Heaven's Gate Mountain) in China's Hunan province is the world's longest -- it takes 28 minutes from start to finish. China's scenic town of Zhangjiajie and Tianmen Shan are connected by the 7,455-meter-long cable car ride that gets as steep as 38 degrees in parts." With its various reds, yellows, and greens, the oft-photographed Zhangye Danxia landform is known as the eye candy of Zhangye, China. This national geopark is filled with colorful hills and rock formations that look like an artist swept a rosy paint brush across the land. The multi-colored landscape was formed out of reddish sandstone that has eroded over 24 million years into the various mountains surrounded by curved cliffs and unusual rock formations that we see today." The Maglev train tops out at 267 mph, making it the fastest commercial railway on earth. Constructed by Transrapid in Germany, the Maglev runs from downtown Shanghai to the Shanghai Pudong International Airport and was inaugurated in 2002. The Harbin International Ice and Snow Sculpture Festival, commonly known as Harbin Ice Lantern Festival or simply called Harbin Ice Festival, which mainly consists of the snow sculptures show in the Sun Island, ice activities on the Songhua River, Ice Lantern Show in the Zhaolin Park, and the Ice & Snow World in the west of the Sun Island. The festival has been held since 1963. 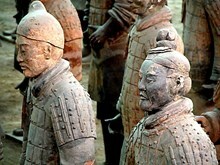 It had been interrupted for a number of years during the Cultural Revolution but had been resumed by 1985. 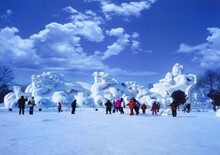 Along with Japan's Sapporo Snow Festival, Canada's Quebec City Winter Carnival, and Norway's Ski Festival. The Harbin International Ice and Snow Sculpture Festival is listed as the top 4 ice and snow festivals in the world." 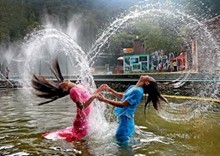 The annual Water-Splashing Festival is most important holiday of the Dai people. Held during the sixth month of the Dai calendar, usually falling in the middle of April, it is also known as the Festival for Bathing the Buddha."